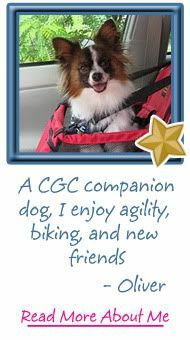 Visit Petfinder.com and select a pet you'd like to highlight by using the search features in the left column. I'll run an example to help you out. 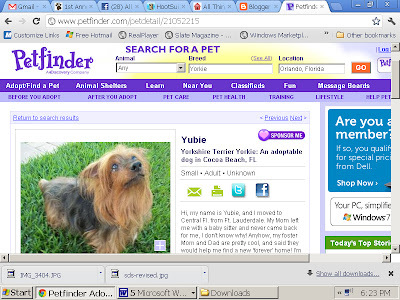 I just searched Orlando, FL for a Yorkie and found Yubie, shown above. I've included the above screenshot to help you follow along. To save the photo of Yubie, I hover my mouse over his photo and right click. 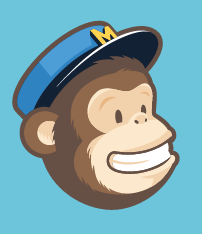 Hit "Save Image As" and store the photo where you can find it easily. 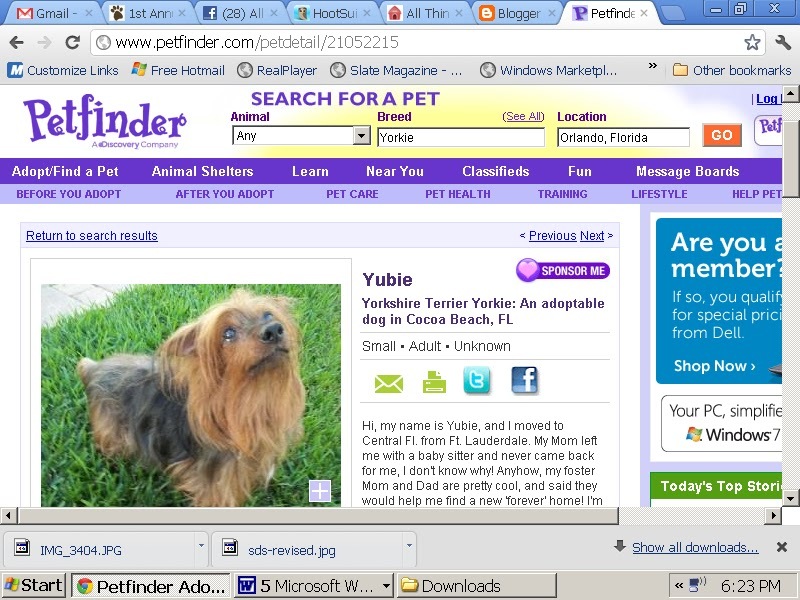 Now I save Yubie's profile page by copying the url from his page: http://www.petfinder.com/petdetail/21052215. I'll use this to link Yubie's finished photo to his Petfinder page, so MAYBE I'll help to get him adopted during Super Dog Sunday™. That would be really cool! Next I need to doctor up Yubie's photo. His picture was taken on grass, so I could plug in a football in front of him using a Photoshop type program. Another option is to add a frame that has a football theme. Paris found a cute one on Wish a Friend and some interesting theming options at Imagechef.com and befunky.com. 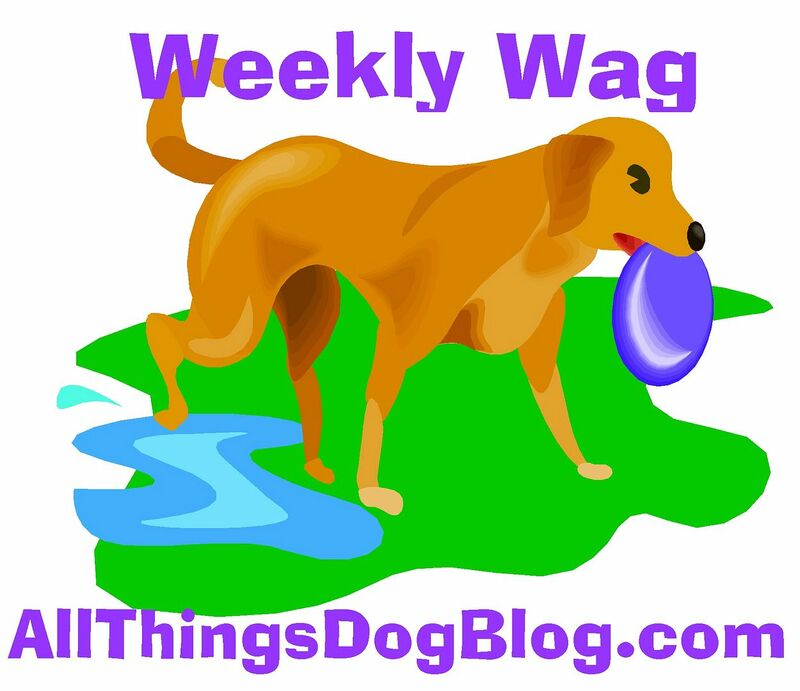 Check out her post on Dogtipper with some tips and examples from Imagechef; they are totally cool. You can also use your own artistic talent. Draw a jersey, helmet or football onto your photo and then scan or photograph it for submission. Or maybe you're good with Paint? Non Bloggers have it easy: Just email your photo to us at EventBarkers@gmail.com. 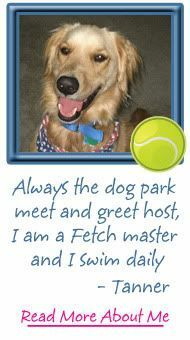 Tell us your pet's name and your name. 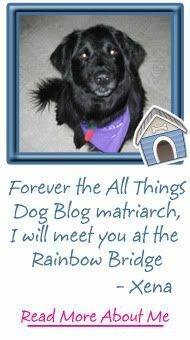 We'll post it to the photo contest and blog hop, and include your pet's name. That's it; you're done! 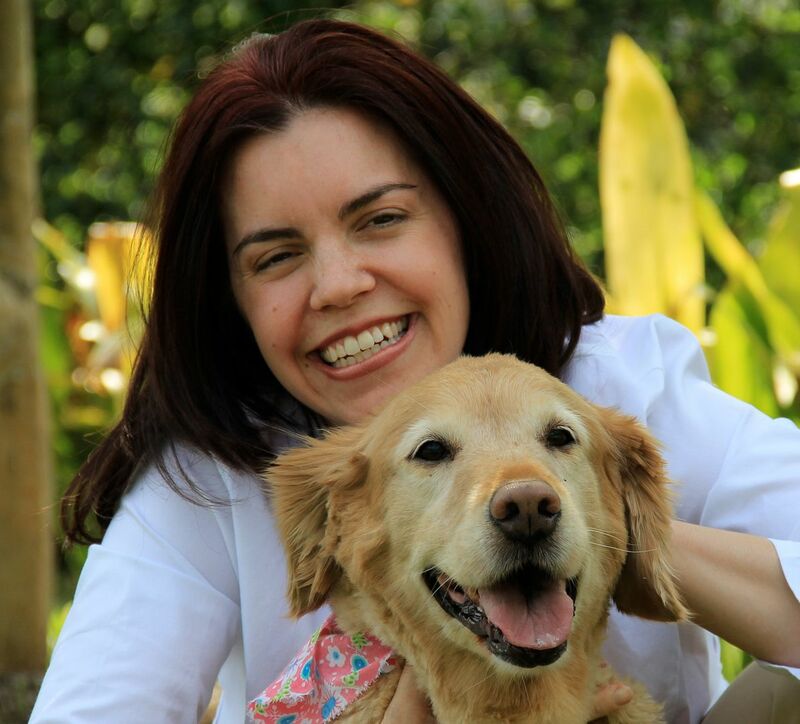 Bloggers need to publish and link up their photos to the blog hop. Most of you know how this works, but if this is new territory for you and you need some guidance, feel free to drop me a note at the email above. I can help. It really is very easy! An even easier method for theming your photo would be to add a football-themed frame and then rephotograph it. It doesn't get much easier than this, and that's really all you need to do to enter. Tanner and Oliver have been busy trying out all sorts of photo options, but you can use graphics as well. The main thing is to keep it fun for both of you. 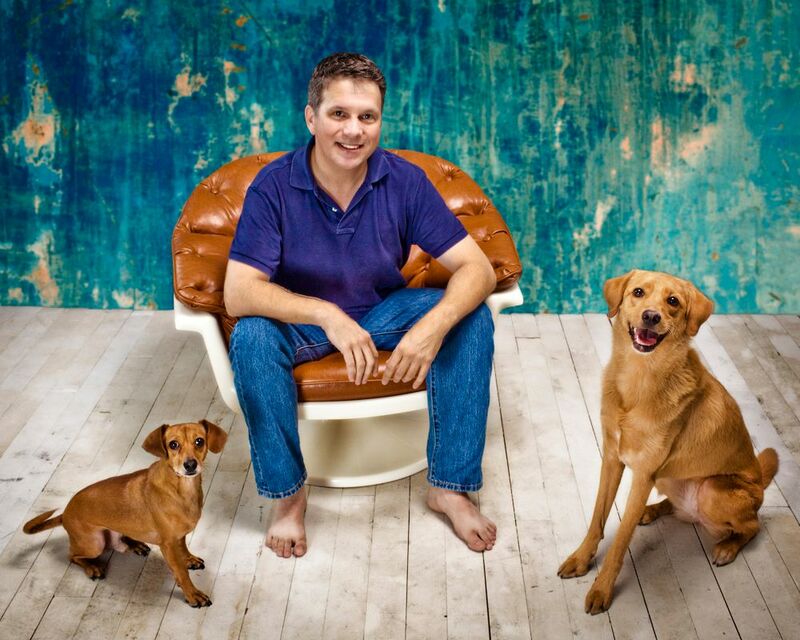 One final note: one photo per dog, please. 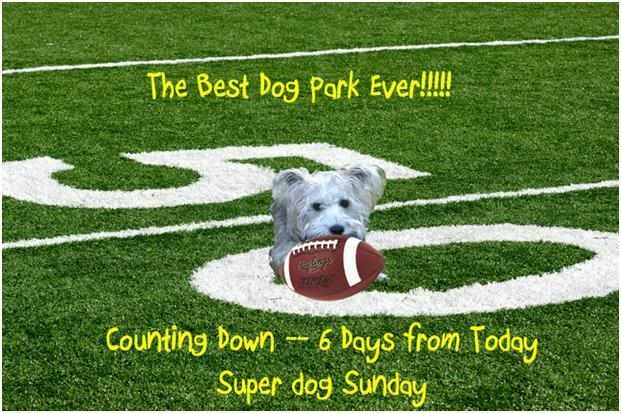 We look forward to seeing you on Sunday, February 5 for the photo contest. Best of luck to you all. Go ahead; You can donate right now!